We have no shot at attaining ecological sustainability, sociologist Juliet Schor points out, amid the extremely unequal distribution of income that now surrounds us. 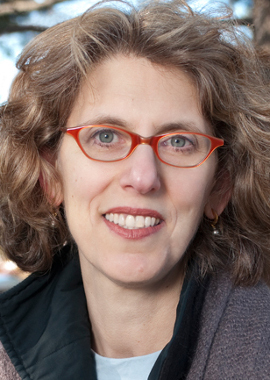 Over the past quarter-century, Boston College sociologist Juliet Schor has probably done more than anyone else in the world to bring grand conceptual constructs like income distribution down to the nitty-gritty of daily life. In her two biggest best-sellers — The Overworked American: The Unexpected Decline of Leisure and The Overspent American: Upscaling, Downshifting and the New Consumer — and in a wide variety of articles and appearances, Schor has vividly exposed how inequality unleashes dynamics that have us consuming ever more and enjoying life ever less. And everybody, she’s emphasizing in all her work today, ought to be worrying more about how inequality is endangering our increasingly fragile planet. Too Much editor Sam Pizzigati spoke more about that danger — and inequality overall — with Schor last month. Too Much: The conventional wisdom among progressive economists holds that our top-heavy distribution of income and wealth leaves average Americans with too few dollars to buy and consume what they need. But you don’t seem to feel that getting everyone an adequate income will solve our consumption problem. Why? Schor: Everyone, of course, absolutely needs an adequate income. I fully support that. I actually think that we are rich enough in the United States to offer everyone a guaranteed basic income. But the issues we have as an economy, as a society, and, perhaps even more importantly, as a planet go far beyond trying to prop our economy up with consumption demand. I see catastrophic climate change as the key issue that we’re facing today, and most of the discourse on inequality has been really blind to this problem — and also blind to the connections between inequality and climate change. I’m working now with some colleagues on models that directly estimate the impact of income inequality on greenhouse gas emissions. The economist James Boyce has done some pioneering w+ork on this, but it’s not yet a well-understood subject. Our politics has been blind to the connections between inequality and climate change. In the United States, Boyce has shown, states with more income inequality have weaker environmental protections, more pollution, and generally worse environmental outcomes. The link between inequality and climate change has both economic and political dimensions. Most of us can more easily understand the political dimension, the political power that’s flowing from concentrated economic power into the hands of a small number of people like the Kochs and a small number of fossil-fuel companies like Exxon that have been impeding action of climate change for decades now. Too Much: You’ve been exposing the hazards of wasteful consumption for quite some time. Yet that waste is getting even more outrageous. We now have, for instance, exceedingly rich people renting private jet flights to transport their pets. In Beverly Hills, a new mansion has a master bedroom suite that’s three times the size of a standard three-bedroom home. Do you get discouraged? Is our contemporary consumer culture simply too powerful to overcome? Schor: I don’t think so at all. In fact, I’m actually optimistic on the cultural side. Those outrageous examples you’ve cited all emanate from our extraordinary concentration of income and wealth. But that’s a long-standing story. Whenever you have wealth concentrated at the top, you get this sort of wasteful “competitive consumption.” Thorstein Veblen was writing about this dynamic 115 years ago. I don’t think competitive consumption at the top represents what’s going on today across the consumer culture more generally. I see much more questioning of the shop-til-you-drop mindset, of mindless consumerism. And I see interesting consumer trends emerging. We have a flowering of second-hand markets. More than half of all Americans have made purchases on sites like eBay and Craig’s List that mainly sell used goods. And we have growing movements for more local consumption, more green consumption, and fair trade. If you look more broadly in the population and not just at those elites who are consuming so wastefully, I think you find that people are moving into a more critical relationship with our consumer culture. Americans are moving into a more critical relationship with our consumer culture. One other point here: I think what’s happening within the broader population reflects changing economics. People don’t have the money or the access to credit that used to let them engage in that “fast fashion” kind of consumer model, where they acquire a lot of stuff, then discard it. Too Much: Is the lure of consumer culture less powerful in more equal nations? Schor: I’ve always felt that competitive consumption dynamics tend to get suppressed in more equal places. But I’m not sure I would phrase it exactly the way your question does. I think about a place like Japan, for example. Japan has a pretty equal income distribution, but the lure of consumer culture has been strong there. Things other than just the income distribution contribute to how “consumerist” a country may be. Too Much: Will we ever be able to achieve an environmentally sustainable world so long as 1 percent of the global population holds nearly half the world’s wealth? Schor: I think there’s no chance that we could have ecological sustainability with the kind of extreme income distribution that we have. So much of the wealth of the 1 percent is extracted through environmentally destructive practices, in sectors like minerals, agriculture, and chemicals. Sustainability will only come about with a fairer and more equitable distribution of wealth and income. Much of the wealth of the 1 percent is extracted through environmentally destructive practices. Too Much: We have a simplicity movement in the United States today, with people in it urging individuals to opt out of the rat race. How far can this movement take us? Schor: I don’t think it’s going to take us very far, for a couple of reasons. We have, for starters, a shrinking number of people who can afford voluntary simplicity. Most of what I’ve seen in the simplicity movement involves people with a combination of considerable human and social capital assets, by which I mean education and skills and social connections. When you have a lot of these assets, it’s not nearly as hard to live a life of voluntary simplicity. Many of the people in this voluntary simplicity movement, my research also shows, tend to be people who don’t have children. Voluntary simplicity is a lot harder thing to do when you have children. In our country today, we actually have much more involuntary “simplicity” — involuntary low consumption — because the number of people who don’t have enough to live a reasonable life has increased so dramatically. I don’t think that’s going to change any time soon. So voluntary simplicity becomes a limited message. To be able to do simplicity as a voluntary lifestyle choice presumes a certain level of privilege. I think we need a different kind of message and approach that combines the need for collectively insuring everyone a decent livelihood and access to quality public goods with a critique of excessive, wasteful, and environmentally destructive consumption. To be able to do simplicity as a voluntary lifestyle choice presumes a certain level of privilege. Too Much: If more people followed ecologically aware lifestyles, would we have less inequality? Or if we had less inequality, would we have more people following ecologically aware lifestyles? Schor: I think it’s the latter. If we had a more equal distribution of wealth and income, that would at least give us the possibility of getting to ecological sustainability. Many people in the United States today are worried about the lack of secure incomes and livelihoods. These concerns, no surprise, dominate their political concerns. I think that’s part of why concern about climate change is so low among Americans. There are all these other things that people are dealing with. If we had a more equal distribution of income, people would have more economic security — and getting things like a carbon tax through would, I think, be easier. Our current inequality, on the other hand, does have a flip side. Inequality opens up the possibility of a hybrid approach on climate, a tax-and-dividend or cap-and-dividend approach where you put a tax on fossil-fuel use and then take the revenues from that tax and dividend them back to the public. We could get some really good equality-boosting impacts from such an approach. Too Much: You’ve been doing a great deal of work on what has become known as the “sharing economy.” But the sharing economy that’s making the most headlines — outfits like Uber — appear to be more about making billionaires than sharing. Can we prevent this sharing economy from becoming another motor for concentrating wealth? Platform cooperativism offers an alternative to Uber-like wealth concentration. Schor: I think we can. But it’s a little bit of an uphill climb at the moment. There are a couple of platforms, Uber being the best example, that have scaled rapidly. If companies like Uber and Airbnb come to totally dominate in their sectors, it will be difficult to take the value being created on the platforms and get it shared out among the users of the platforms, by which I mean both the providers and the consumers. But if we get some more competition in these markets, and other ride-service companies offer good alternatives for drivers and riders, then we have a much better chance for real sharing. A lot of people in this field are now talking about “platform cooperativism,” having platform users — all users or just providers — come to own their platforms or have a much bigger governance say in their operation. I see this “platform cooperativism” as the sort of thing we need to do to prevent a small number of people from sucking out so much of the value being created in these new markets. Too Much: You’ve been closely involved with the effort to fashion a new American dream that emphasizes community and sustainability and celebrates non-material values. What sort of progress are we making toward that vision? Schor: Well, it’s complicated. When we started the Center for a New American Dream in the mid 1990s, the national economy was performing much better and we had a growing constituency of people who were feeling financially secure enough to question that harried work-and-spend lifestyle. Since the financial panic of 2008, and with our continuing dysfunctional outcomes in the economy, it’s harder to get people to think about something aspirational like a dream. So I think we really have to adjust the way we’re talking about and thinking about the new American dream. We need to confront the reality of high levels of insecurity, wage stagnation, inequality, unemployment, underemployment, home foreclosure, and so forth. Real life is exposing the myth of the market. And that brings us to talking about the kinds of transformations in our economy and society that we’re going to need to ensure decent lives for people. I’m now involved in something called the Next System Project, where we’re talking to people about how our system is failing and how we can transform what we’re doing, from the local level all the way up to the national level, to make sure that our economy meets people’s needs. The myth of the market holds that if we just let the market do its thing, good outcomes are going to happen. The market is going to generate lots of good employment and income for people, and it’s going to be good the companies, too. But those good outcomes are not happening, and that’s widely understood now. Too Much: Some progressives have begun talking about rule changes that could begin privileging small and worker-owned enterprises over corporate giants that manufacture inequality. One such change, now getting debated in the Rhode Island Senate, would give a preference in the government procurement process to companies that pay their top execs no more than 25 times what they pay their workers. A bolder take on that proposal would deny government contracts and subsidies to enterprises that pay their executives over 25 times what they pay their workers. Do you feel battling for rule changes like these could help usher in the sort of system change you’re talking about? Schor: Well, yes, but two things come to mind here. The trade agreements the United States is getting into, like the Trans Pacific Partnership, have the potential of making laws like that impossible. We can’t just rely on domestic changes at a time when multinationals are trying to create supra-governmental entities, and that’s what the TPP and the WTO and these other trade entities really are. That’s the first point. The second is that laws that rely on corporate accounting are tough to make work in our society. We’ve seen, for instance, what corporations can do with taxes. They’re very good at using accounting procedures to avoid things that they don’t like. The idea that inequality is bad not just for the people at the bottom but for everyone is starting to take hold. Some rule changes, I think, could operate a little bit more like a tsunami in the economy — for example, a very high minimum wage or a guaranteed basic income. Too Much: You’re an economist by training. But most people today see you as a sociologist. Which of these disciplines has done a better job helping us come to grips with the impact of income and wealth concentration? Schor: You could fault mainstream economics, and I do, for treating distribution as pretty irrelevant, for worrying about wealth creation and not about where the wealth goes. On the other hand, we do have a group of economists who have continued to pay attention to income and wealth distributions, and we’ve just seen a magnificent example of this in Thomas Piketty’s Capital in the 21st Century, a tremendous contribution that tracks inequality over a couple of centuries. You asked specifically about the impacts of inequality. And there I would say that you see scholarship on this across the social sciences. Too Much: What do we know now about inequality that we didn’t know 30 years ago or so when you were starting your career? Schor: Thirty years ago we were beginning to understand some of these things we know today, but they weren’t widely recognized. I think about Michael Reich’s doctoral dissertation from Harvard. At the beginning of the ’70s, he was showing that states that had more racial inequality also had more income inequality. And then we had the work of the British epidemiologist Richard Wilkinson. I remember interacting with him decades ago, long before The Spirit Level and his work were so widely known. The idea that inequality is bad not just for the people at the bottom but for everyone has been around for quite a while, but people weren’t paying attention 30 years ago. Now they are. Too Much: Your books over recent decades have been important touchstones for the egalitarian movement. What can we expect to see from you next? Schor: I’m very interested in the question of inequality and climate outcomes. I’m going to be working more on that, on how more inequality leads to higher emissions. I’ve also been integrating some of the things that I worked on earlier in my career, like working hours, and I have some research I’ve published showing that countries with higher average hours of work have higher greenhouse gas emissions. I’m trying to integrate some of my core economic concerns with climate outcomes.